The Quilt and Pro Special comes equipped with: 625 stitches, including 16 professional buttonholes, 4 lettering fonts, and tons of included accessories! One touch pattern selection to quick start your sewing adventure. Simply push a button to select from 10 of the most popular sewing patterns, including the applique stitch and the blanket stitch. The Keypad is set up similar to your cell phone allowing you to quickly select lettering. 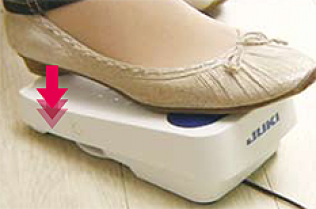 The LCD screen displays the stitch settings, pattern and even recommends the best presser foot to use. and the new settings display on the screen. Drop in bobbin has made sewing so easy! Inserting the bobbin into the bobbin case is fool-proof…just follow the clearly marked threading path and you are ready to sew. 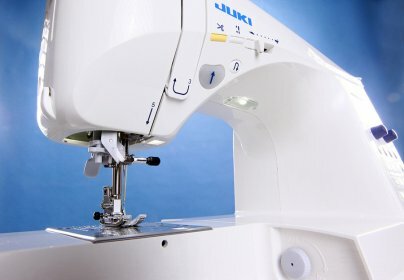 Allows you to sew and wind bobbins at the same time. And bobbin winding couldn't be easier. Put the bobbin in place, catch the thread on the base, and push the lever. trims and with the Exclusive foot controlled trimming system. and your thread is quickly and precisely cut. 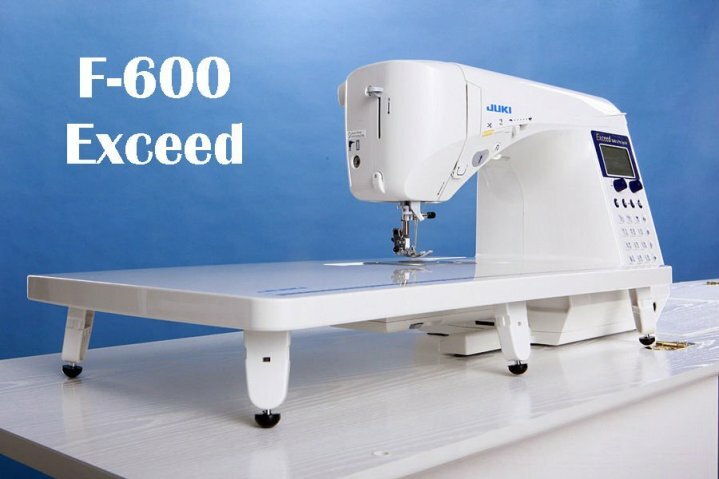 The Juki Exceed is the ONE STOP machine! Call the store at (813) 661-9000 for a demo and more information.